"Help tiny hands get a handle on it!" LIMITED TIME FREE SHIPPING IS BACK! Perfect Gift for Baby Shower. Huge hit at my friend's baby shower! Really unique, handy gift for new moms! Love it! - Carly H.
My dayhome children love them! Lil grips are so great for little kids. My dayhome children love them. I love lil grips. I even use it on my huge coffee cup for easy transporting around with children. - Jessica C.
From the Calgary Baby and Tots Show. We purchased one of these at the Baby & Tot show this weekend & our daughter loves it! The customer service was great and they explained everything (how it works, how it can be used and what it’s made of). We put it on our daughters cup as soon as we got home and she won’t put it down. Great job guys!! - Alexandra L.
SAVE! with our most popular 4-pack bundle! and limited time offer FREE SHIPPING! We invented lil' grips® to give your toddler a helping handle on their bottles, cups, juice boxes, feeding pouches and more! Tiny hands mean toddlers struggle to hold their bottle or favorite cup. Our handles provide them the independence to learn to grasp and drink. 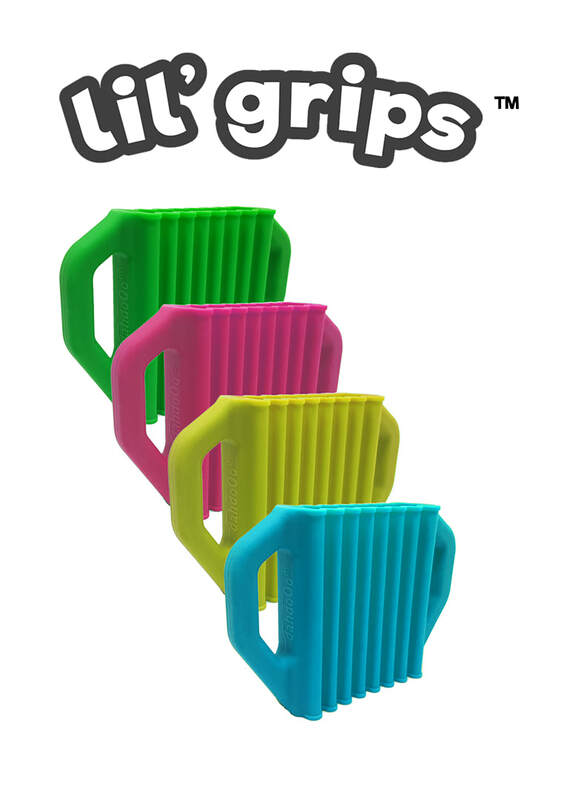 lil' grips® are soft and stretchy silicone handles. ​The one-size-fits-all design is easy to use, easy to clean and works on any size, shape or material. BPA, PVC and Phalates Free. No harmful fillers or chemicals. 3rd Party Laboratory Tested and Certified.